"Health guru". Healthy food advocate sharing life musings and delicious recipes. ALL GLUTEN FREE AND DAIRY FREE. I completely love everything about Jamie Oliver, who in my opinion is the biggest food radical in so much of the world. In his own words, he “works tirelessly to save lives in his own way.” I admire his passion and drive to bring healthy, whole, real food into schools and remove the highly processed junk food our kids now eat. I feel the same fervor when he talks about his disgust at the epidemic in obesity (especially in children!) because it leads to so many health related diseases that are absolutely preventable with a healthy diet. My inspiration sky rockets as I listen to him share his love of educating lobbiests, change makers, teachers and children. I can watch a video of him preaching his good stuff and I want to spring from my chair and fist pump the air! I want to be that kind of catalyst toward healthy food transformation. My devotion is that strong. 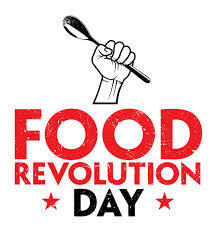 Then there is Food Revolution Day! Seriously, it’s like a holiday for me! It requires big celebration. This day is all about raising awareness of how food impacts our health. It’s about good food. Made from scratch. It begins with kids. 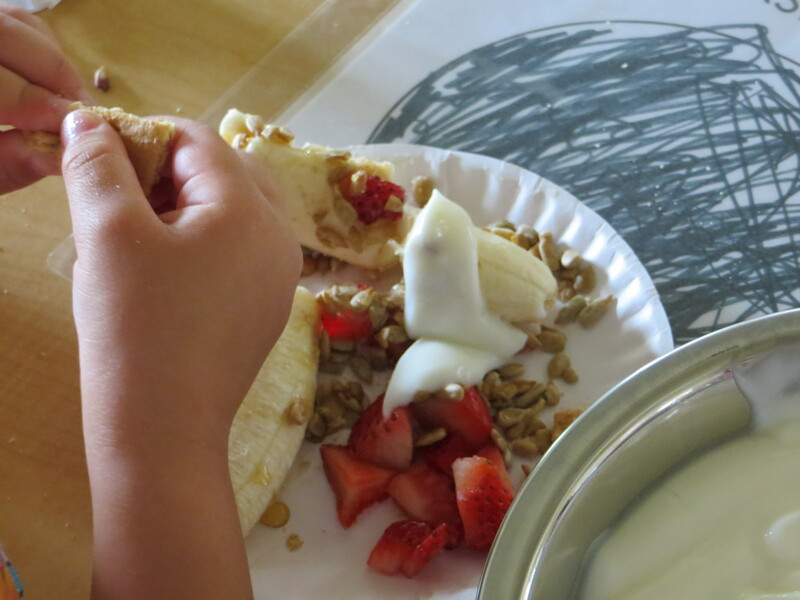 It’s about creating healthy habits and teaching kids where food comes from and what it can do for their bodies. This is Jamie Oliver’s campaign and I want to be an Ambassador in his campaign to promote a love of real food from scratch and a respect for where food comes from. This will empower kids to make informed food choices and healthy decisions that will take them into their adult years. 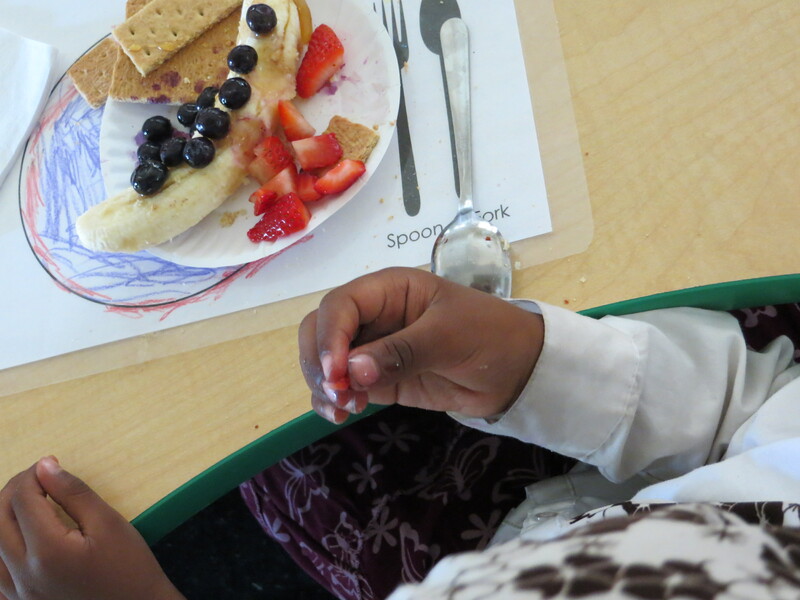 With that said, we are celebrating Food Revolution Day here in the kitchen at the Head Start program where I work. 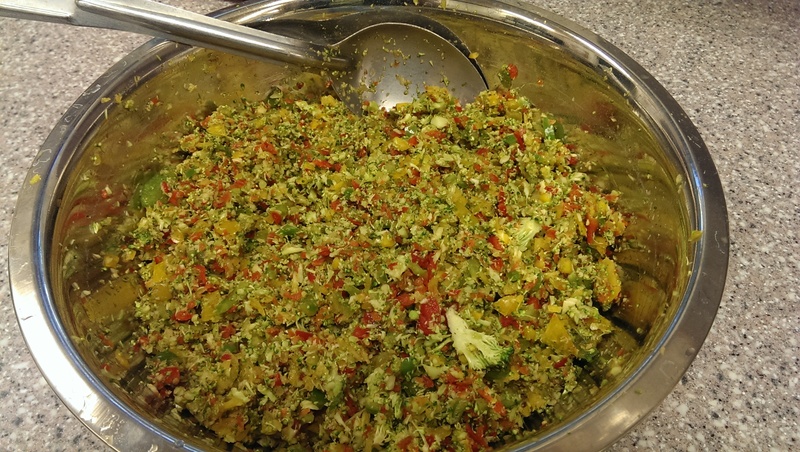 We had a colorful and healthy menu to proclaim this day a food party! 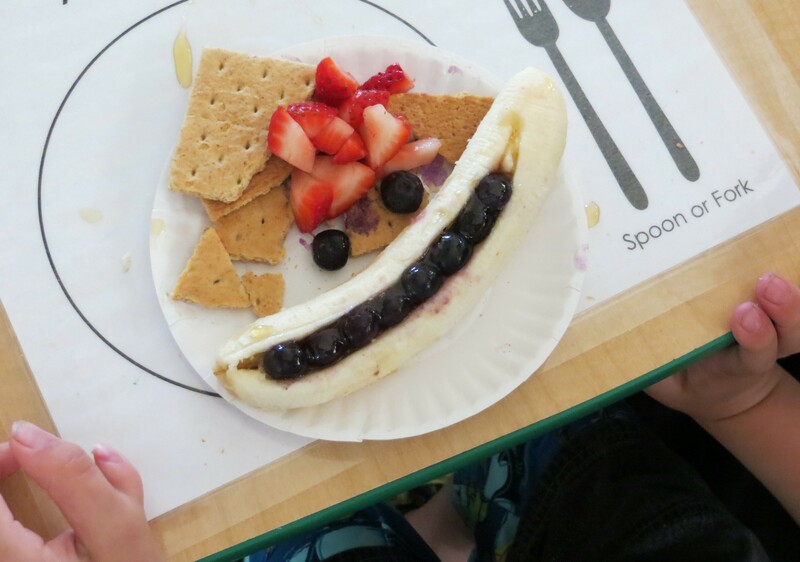 Take a look at what kids ate! 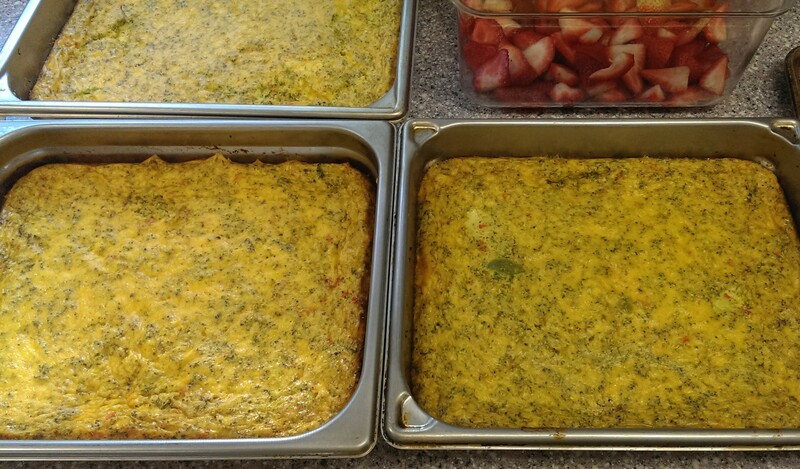 look at all the colorful veggies that went into the breakfast casserole! 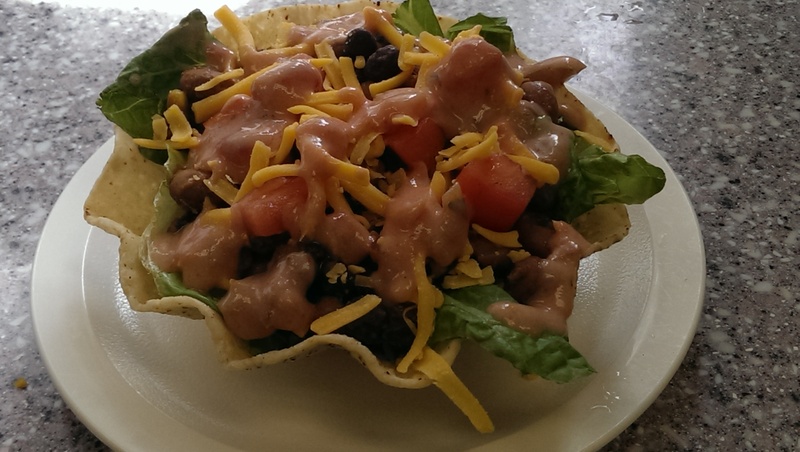 This vegetarian taco salad uses black & pinto beans with sauteed veggies and spices on top of shredded romaine. Some fresh diced tomatoes, a sprinkling of cheddar cheese and a salsa/plain yogurt combo as the dressing! Delish! SNACK: same as AM classes. 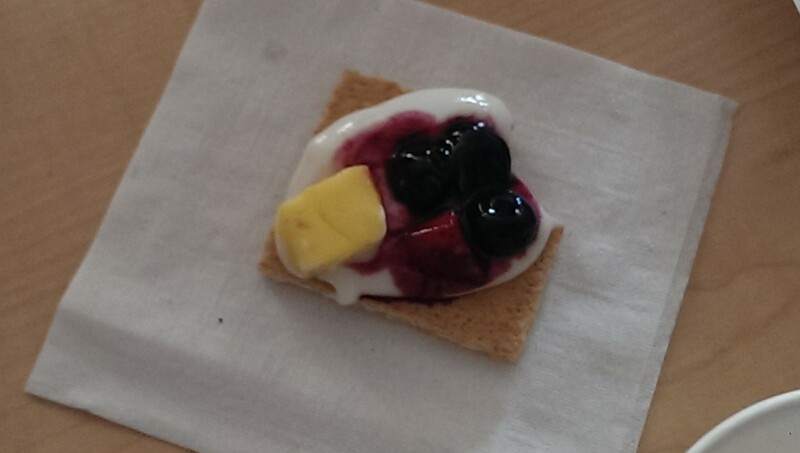 I visited two of our classrooms today and talked to the kids about healthy snacks. 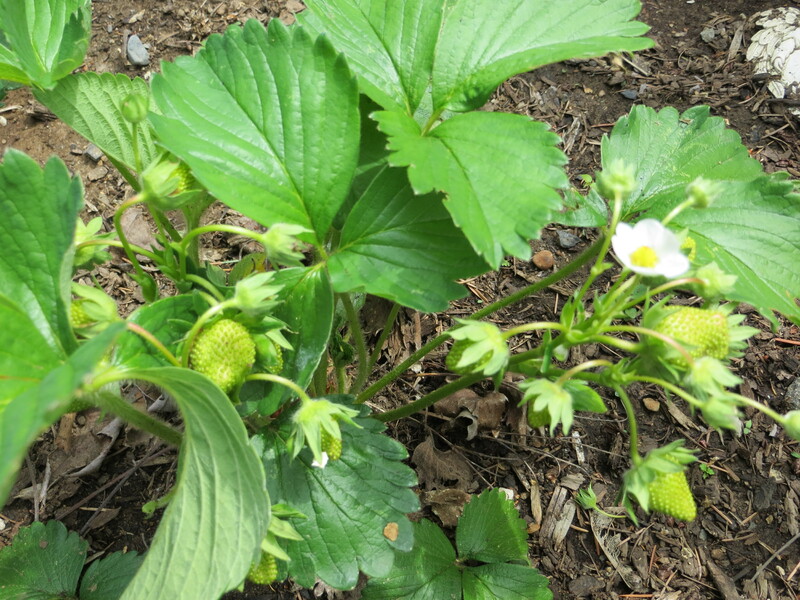 They also got a lesson on where a strawberry comes from! But it wasn’t all talk. 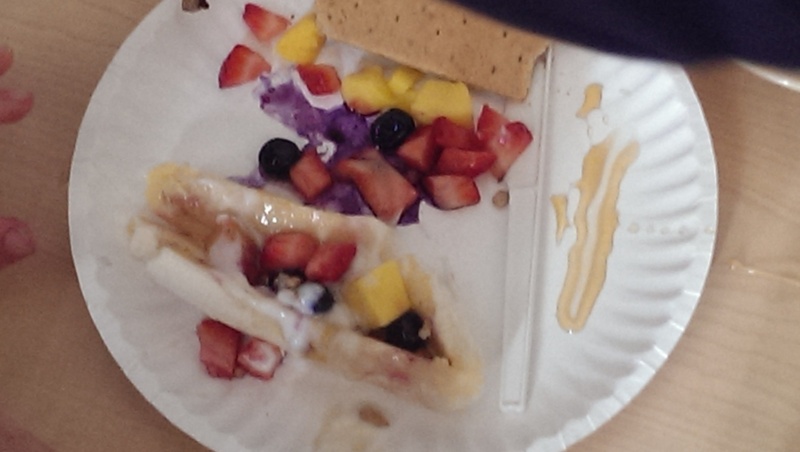 We played with food! 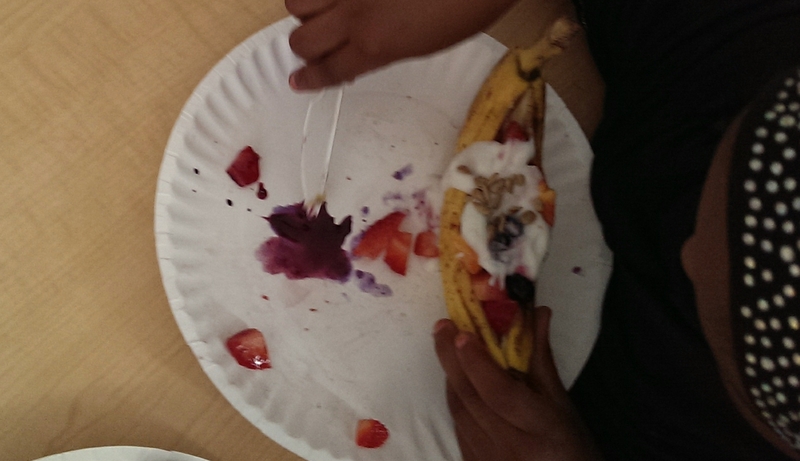 I demonstrated how to make a “Healthy Banana Split” and then I let them get their hands on the food to make one for themselves. Wow, these kids had fun! We all had a blast and I loved watching their little minds work to create some pretty amazing displays. These lucky young ones got an extra special kind of cracker today-honey grahams! The best part–I felt complete satisfaction in knowing I planted a seed in developing a positive relationship with real food. My commitment to spreading knowledge of whole, fresh, sustainable foods is deep. I have an unwavering desire to engage and interact with young people in meaningful ways around food. I want to be the catalyst of change. And, you know, kids are just super duper fun to be around! They give me joy.